George Newstrom leads Dell Services Federal Government as its vice president and general manager, a position he rose to after joining the firm in 2011 to help expand its reach in the cybersecurity and intelligence spaces. 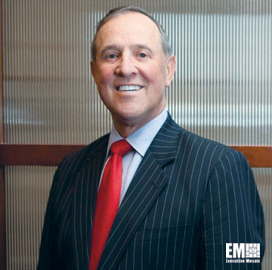 Newstrom is a retired U.S. Marine Corps electronics and communications officer and also served as secretary of technology for the Commonwealth of Virginia between stints as an executive with different firms in industry. The healthcare, government operations and technology veteran recently caught up with ExecutiveBiz to discuss the power of disruptive technologies, Dell’s layered approach to cloud security, and where the intersection of the private and public sectors can provide value to the American public in a tough budget environment. ExecutiveBiz: What are some of the main things you’ve been focused on over the past 12-to-18 months? George Newstrom: The federal government is facing two conflicting challenges: improve service delivery while doing it within shrinking budgets and shortages of skilled IT skill professionals. As a member of GovCon, I strive to bring to the table how federal agencies can rise to the future using breakthrough IT solutions to solve complex problems and demonstrate how companies like Dell Services is making technology more accessible and affordable. 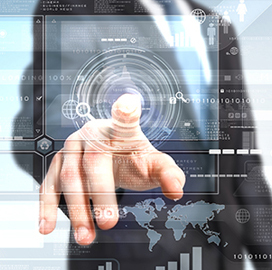 IT transformation can truly provide better value, cost savings and productivity performance across enterprises or agencies. ExecutiveBiz: How would you characterize a disruptive technology and which ones stand out to you right now? George Newstrom: Forces that disrupt businesses are those that really impact the way we do business — it affects our lives and changes the way we work and act. We saw this disruption with the telephone and the computer. Today, as government agencies retool their IT environment to become more efficient, flexible and cost-effective, the five most powerful disruptors include cloud computing, big data and analytics, mobile devices, security and social media. Disrupting the status quo is not a bad thing. In fact, it opens up unique opportunities to innovate and transform the way agencies serve the American citizen or achieve their mission. Disruptive technology is all about accelerating transition to the future: modernizing, embracing the cloud, migrating off the mainframe. It’s about harnessing today’s surge of information and turning data into insights. It’s about overcoming emerging security threats before they happen. And it’s about enabling mobility across agencies to embrace bring-your-own-device capabilities. Dell Services is at the forefront helping agencies overcome unprecedented change and challenges with breakthrough solutions and services. 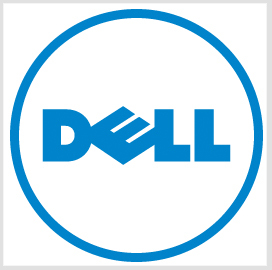 ExecutiveBiz: How are you and Dell addressing security in the cloud space? George Newstrom: IT security is complex and threats are becoming more sophisticated. 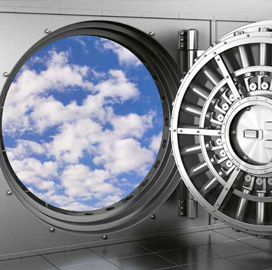 With our cloud capabilities, we adopt a layered approach to cloud security. We are using the most sophisticated tools available to detect and prevent attacks anywhere in your environment. For example, our Dell Cloud for U.S. Government aligns with 13 government and operating domains and features more than 295 security controls aligned to critical National Institute of Standards and Technology (NIST) 800-53 requirements that can be tailored to meet specific agency security controls or support federal authority to operate (ATO) certification. With these built-in security controls in the cloud, agencies can confidently move sensitive workloads across agency domains, whether a dedicated cloud, a shared community cloud or a combination of both. However, complacency cannot enter our daily efforts as the threats will continue to become more hostile and more aggressive. Nothing will take the place of personal and corporate vigilance. ExecutiveBiz: How can the GovCon industry best work with the public sector to help it manage the budget pressure on government IT? 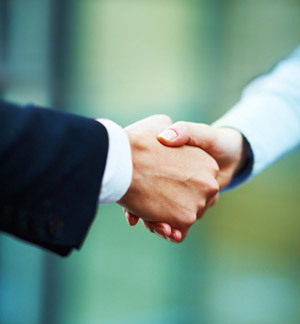 George Newstrom: As a partner with our government clients, we strive to first understand what their business issues are, what the mission is and how we can help resolve their issues, whether it’s HR, budgetary, finance, policy, or global policy. We need to understand clearly what our government clients want to accomplish with IT. This will help drive the right IT solution to meet the government’s need, including, change management, doing more with less, or providing better service delivery to the ultimate client, which is the citizen of the United States.